We’re having a quiet Friday night. Travis napped on the couch while I cooked. Now we have eaten and he’s on our balcony playing his guitar while I lay on the sofa, watch a movie and blog. Dinner was great and I love Bon Appetit for another hit recipe! The finished mustard tarragon sauce. 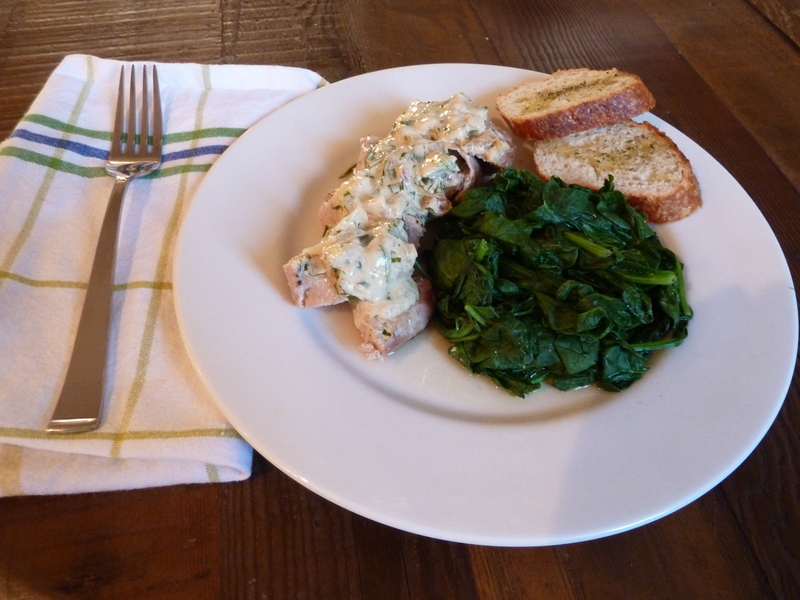 Pork Loin with Mustard Tarragon Sauce served with steamed spinach and some crusty sourdough bread. Heat oven to 375 degree. Sprinkle pork with salt and pepper. Place pork in an oven proof dish lined with foil, slice 1 tablespoon on the butter in half and place it on top of the pork loin. Cook for 30-40 minutes are until desired doneness. Meanwhile, add remaining butter in non-stick skillet over medium heat and add shallot and salt and pepper. 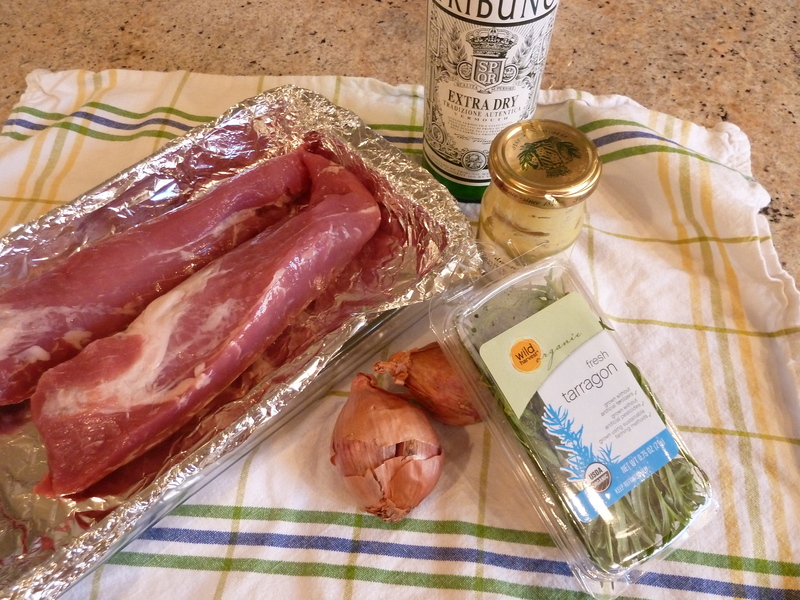 Cook for one minute and add vermouth and dijon and bring to a simmer. Add cream and 1 1/2 tablespoons of the tarragon. Simmer until slightly thickened, stirring often, about 3 minutes. Once sauce is done take pork out of the oven and add 2 tablespoons of it over the top of each loin (or just enough to barely cover the top). Continue to cook pork until done. 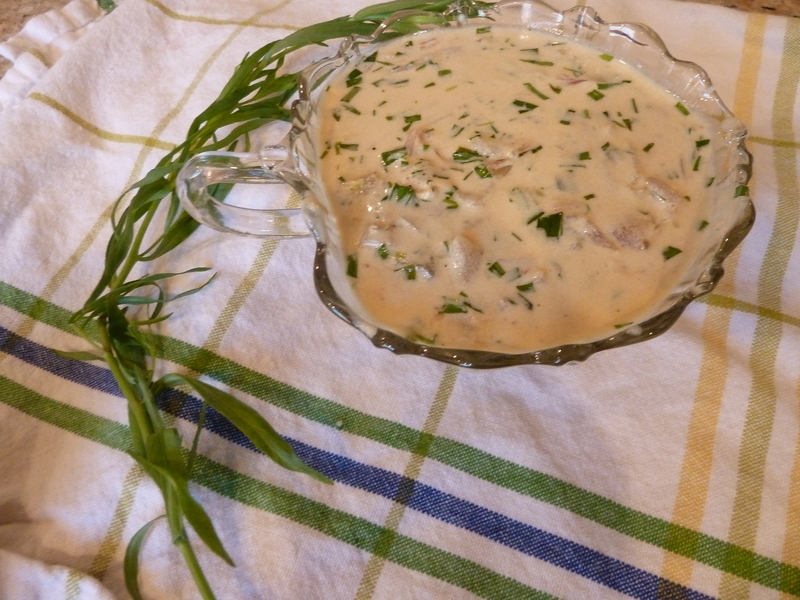 Serve with remaining sauce poured over the top of the sliced pork loin and sprinkle with remaining tarragon.